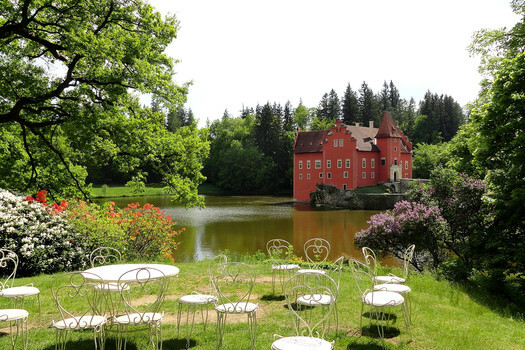 For 600 years, life has gone by within the walls of Červená Lhota Castle. During the course of this time, the castle has gone through several significant changes in its appearance. For the first time, it was shortly after 1530, when the medieval stronghold, first mentioned in written sources in 1465, was bought by Sir Jan Kába of Rybňany, who started the Renaissance-style alteration. Perhaps the largest and most magnificent change came after 1641, when Červená Lhota became the property of a prominent Czech nobleman, Lord Vilém Slavata of Chlum and Košumberk, who commissioned the Baroque-style renovation of the second floor. The last structural alterations are connected with the family of Princes of Schönburg-Hartenstein, which owned the castle until 1945, when it was confiscated and nationalized.